Sandeep is the founder and MD of Cartesian Consulting, a consulting firm specializing in marketing and business analytics headquartered in Mumbai, India. A keen believer in precision marketing, Sandeep has over 15 years of experience advising clients across industries on their CRM, Loyalty and Analytics initiatives. He has been a driving force in the development of an analytics practice across over 80 client engagements ranging from large Telecom organizations, retail brands with hundreds of stores, online businesses, financial services companies, luxury hotels and resorts, and restaurant chains. He plays at the intersection of direct marketing thinking, advanced analytics and integrated marketing management technology. An advisor to the heads of client organisations, Sandeep helps them be data driven and customer obsessed, and take that obsession across the enterprise. 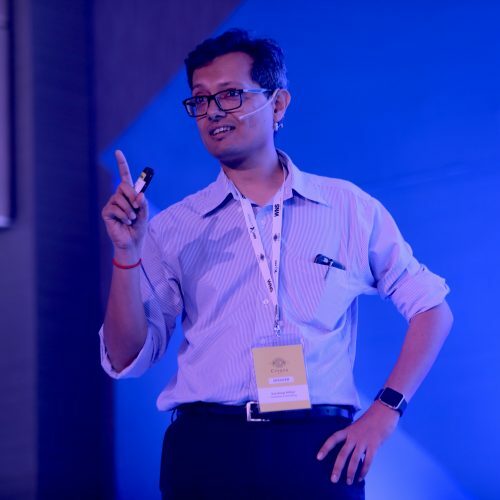 Sandeep is considered amongst the leading practitioners in the country when it comes to analytics and CRM and is a regular speaker and contributor on the topic. His areas of expertise are in using data to drive customer and marketing decisions – customer lifetime value, marketing spend attribution, pricing and margin optimization, loyalty programs. An alumnus of the Indian Institute of Management, Calcutta, Sandeep still stays connected with music; writing and recording songs in a little home studio. Marketers know they need to put their CRM initiatives on steroids by going hyper personalized, automated, and driven by AI and ML. This session focuses on the Analytics that makes such initiatives work. What algorithm and infrastructure choices can speed up SOO initiatives, where AI can and can’t be applied, how ROI may be measured, and how top management buy-in is achieved.